In the end, it wasn't just about the money we raised, though the sum of $25,000 is fantastic, especially in these trying times when worthy causes go begging. It wasn't entirely about the Diabetes Foundation either, though their efforts to make inroads into finding a cure for this insidious disease is so very important. Diabetes affects the young and the old, the overweight, pregnant women and, increasingly, growing numbers in the Hispanic and Africa American communities. A cure is within our reach. But what really hit home for me and the Barndiva staff late Sunday night after the last glass was polished and put away was simply how wonderful it felt to have participated. Even a small town like ours can accomplish big things when members of the community come together to work for a common goal. 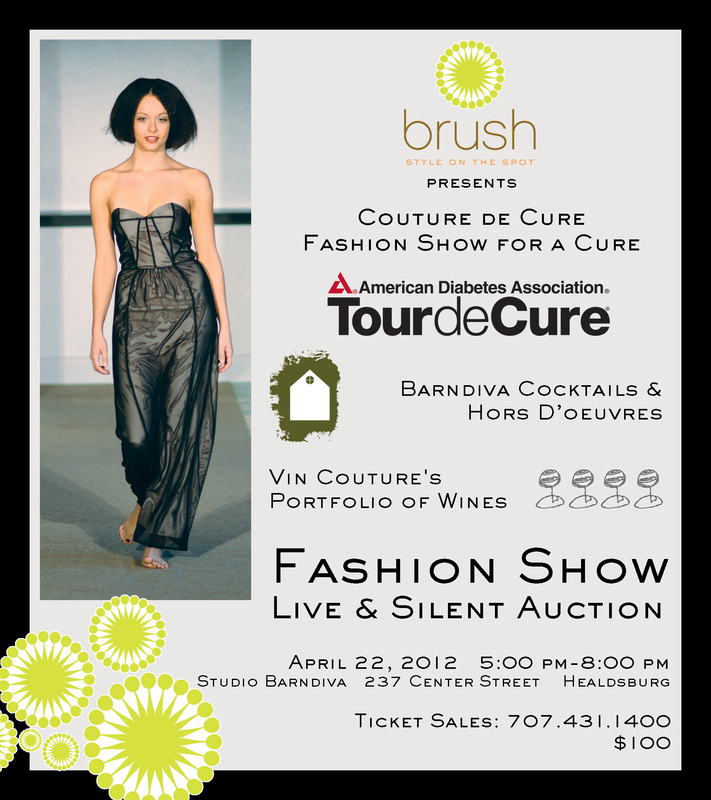 Hats off to David and Nicole Barnett and all the good folks at Brush Salon who instigated Couture for a Cure and brought together the talents of Susan Graf Ltd, M Clothing, Outlander Men's Clothing and Clutch who joined forces to put on a really cool fashion show. Congratulations to the wonderful people who donated to the silent and live auctions, Vin Couture for pouring their wines, Fabian for DJ'ing, KZST's Debbie Abrams for MC'ing, the incomparable auctioneer Lucy Lewand, and last but not least, The Flower Guys, who filled the Studio with glorious spring blooms. We throw beautiful, memorable parties in the gallery almost every week ~ as anyone who has been here for a wedding, baby shower, special birthday or anniversary will tell you ~ but rarely do we get that 'change is gonna come' feeling as strongly as we did after Sunday's event. As you can see from the slideshow below, shot by our own Dawid Jaworski, we live in an extraordinary community, one that knows how to work hard and then make it look easy. People come from around the world to eat our food, drink our wine, and look around in wonder at the magnificent countryside, but for those of us who make Sonoma County our home a great place to live always comes down to the people you live alongside. It was good to see so many of them here on Sunday. 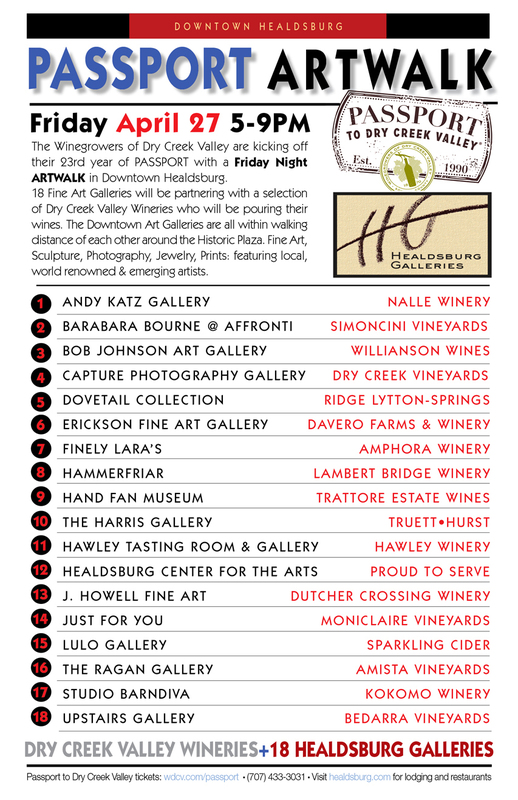 This is a first: combining the energies of a sold-out Passport Weekend with Healdsburg Galleries Art Walk. This Friday, April 27th, all 18 of our member galleries will be paired with wineries that normally don't have a presence downtown. I know what you're thinking, Passport Weekend is for tourists, why fight the crowds? 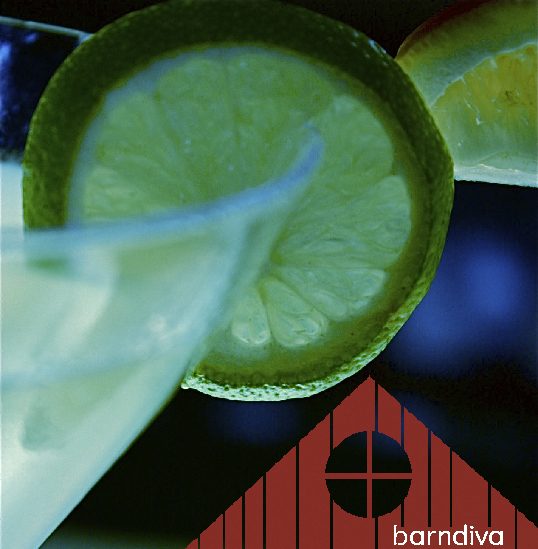 Because it's a chance to support our wonderfully diverse collection of galleries, sipping as you go. Think of it as a scavenger hunt where you may just discover a work of art you can't live without. Or a wine you've been wanting to try. Book dinner here in town after the walk! 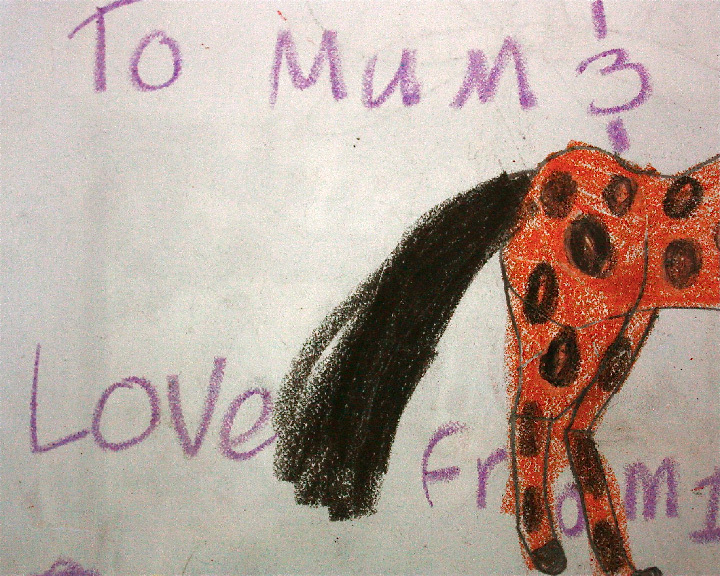 We love your mum. We do. And to prove it we're going to open the gardens just for her on Sunday May 13, give her a sparkling cocktail on the house, and while we're at it send out one of Octavio's best crumbles for the whole table to enjoy while you watch mum sip away and smile. Chef will be serving our full Brunch Menu with a few special entrées which we'll reveal next week, but consider this a heads up: make your reservations now. Mother's Day at Barndiva always attracts a sell out crowd. Fiddleheads, ramps, nettles, English peas and favas all started arriving in the kitchen a while back, a pretty good auger of Spring, but with all that rain and gray skies it was hard to feel it. Then the white Clematis went into glorious, full bloom over the arbor and Chef marched in to announce the return of the rabbit. 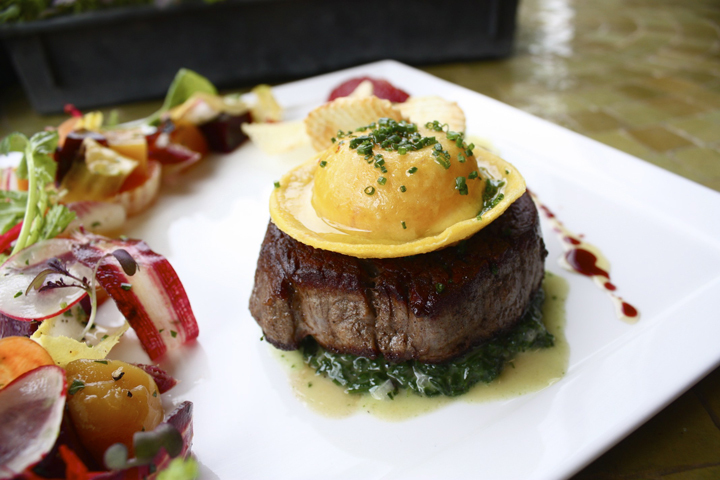 This dish is Spring incarnate: bright green color from the favas, peas, chives, and baby greens, sharp pickled ramps, sweet tomato conserve, and just enough heft to the succulent meat and the richness of the quiche to warm the chilly evenings that are part of the beauty of this most precious season. 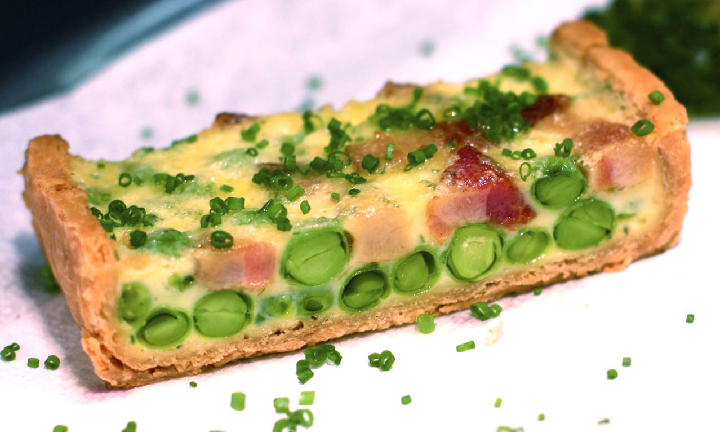 We are doing the quiche in terrines ~ flaky edges, big chunks of bacon, favas ~ it's almost too pretty to eat. Almost. 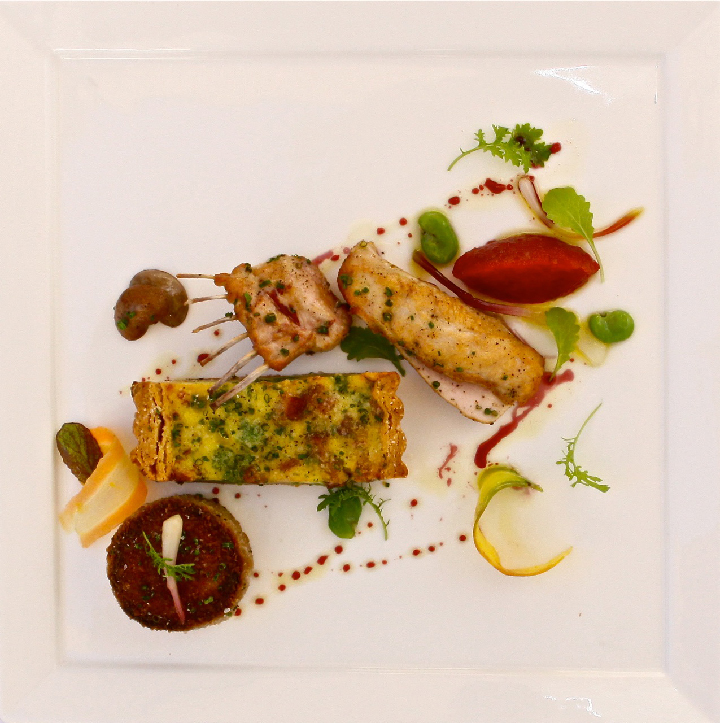 Rabbit is great stewed whole, but chef’s signature presentation is to break it down and cook each cut separately. A bit more time and labor but you get a perfectly moist sirloin, juicy little rack, whole grilled kidney. 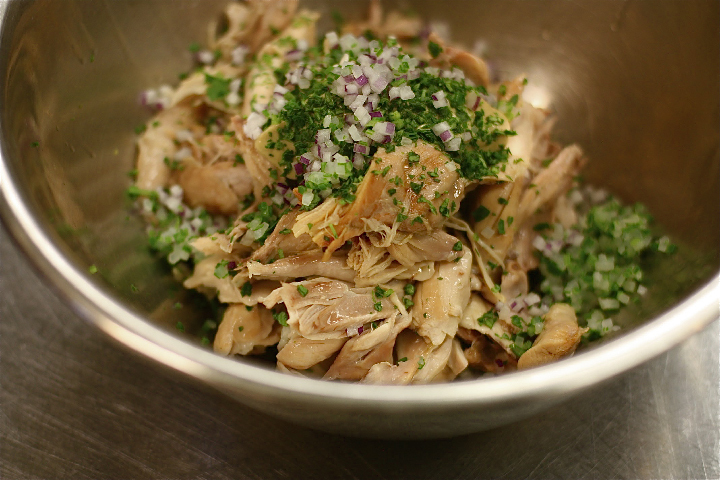 Perhaps the most flavorful part of the dish is the rillette, which uses the dark meat from the legs and shoulder. We confit them in duck fat for about four hours, then pull the meat off while it's still warm and falling off the bone. Lots of dijon, sherry vinegar, salt, pepper, chives, and just a hit of minced sweet red onion. 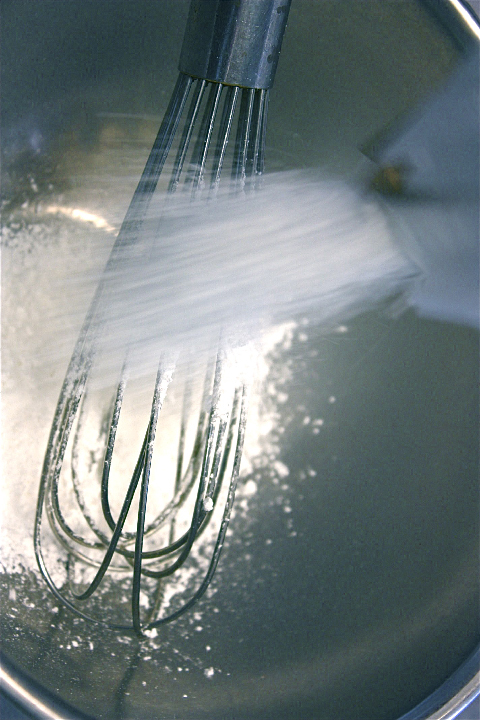 Before forming patties the mix is rolled in plastic wrap and chilled, which also gives the flavors time to meld. Taking the dark meat on any animal and making rillettes is worth learning how to do; it's a great way to use the least expensive cuts with the most flavor. In our case we are buying whole animals ~ using everything goes with the territory. 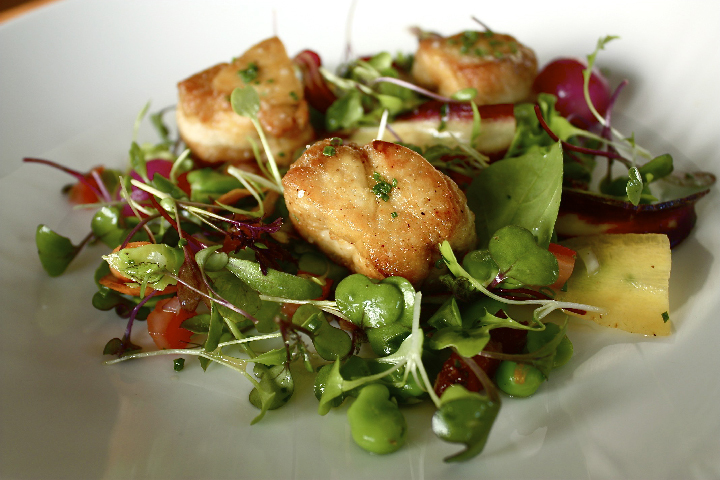 Rabbit is only one dish on the new Spring Menu, but it is always a favorite. The flavor is subtle and light, with a hint of grassy sweetness in the finish. 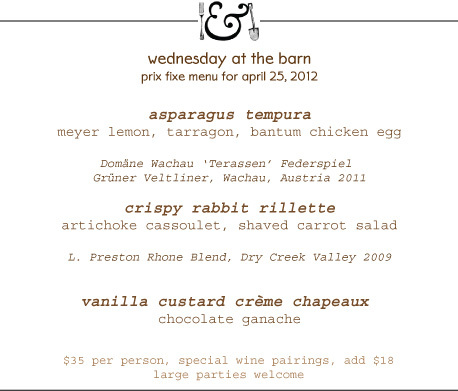 Our menus change often this time of year, as delicacies like ramps and fiddleheads have an especially short season. I can't promise how long the clematis will be blooming either. The best part of spring is the worst part of spring: blink and you miss it. They are going fast! 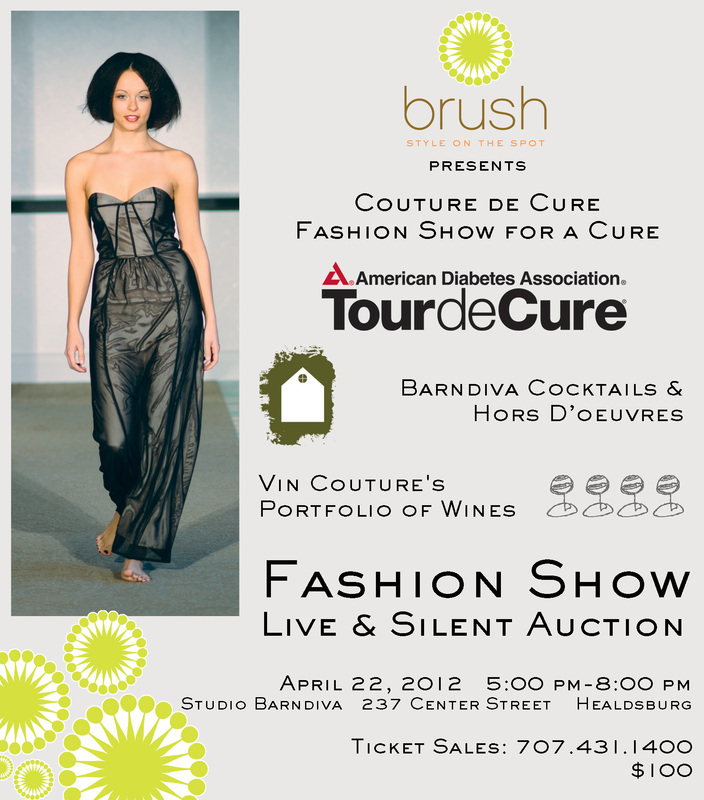 Don't miss out on a chance to spend a great 'guilt free' afternoon of drinking, eating, and talking clothes as Studio Barndiva joins forces with the talented folks at Brush Salon to support the American Diabetes Association's Tour de Cure. Joining us with a wonderful runway fashion show will be four of Healdsburg's finest clothing shops ~ Susan Graf Limited, M Clothing, Outlander Men's Gear and Clutch. 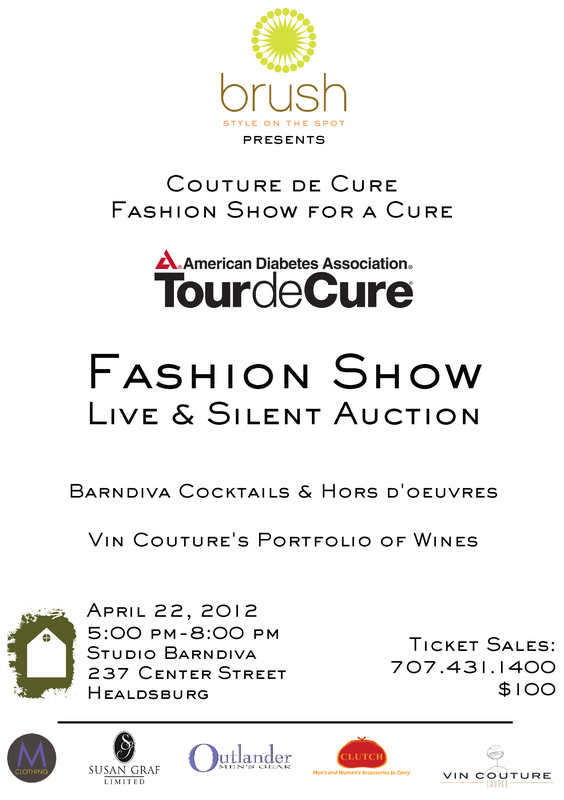 Barndiva will be doing the cocktails and food, Vin Couture will be pouring the wine. The evening also includes an exciting live auction with auctioneer Lucy Lewand, KZST's Debbie Abrams as MC and DJ Fabian. 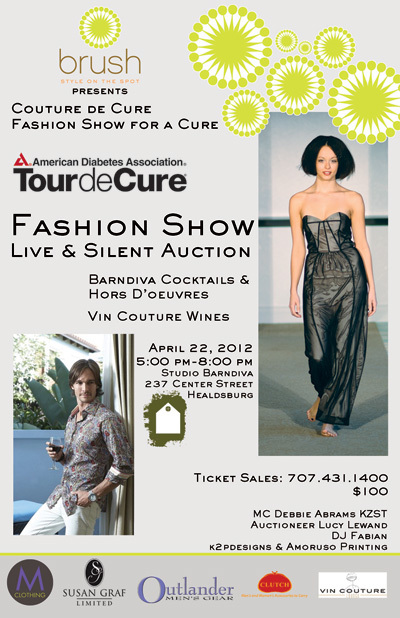 Come out and have some spring fashion fun while we raise money to help find a cure for diabetes. No one really knows why they are called Sweetbreads, though a good guess might be that “pass the thymus gland” is not the sexiest come on in culinary history. Then again, when food is in short supply you probably don't care what an affordable ingredient is called. 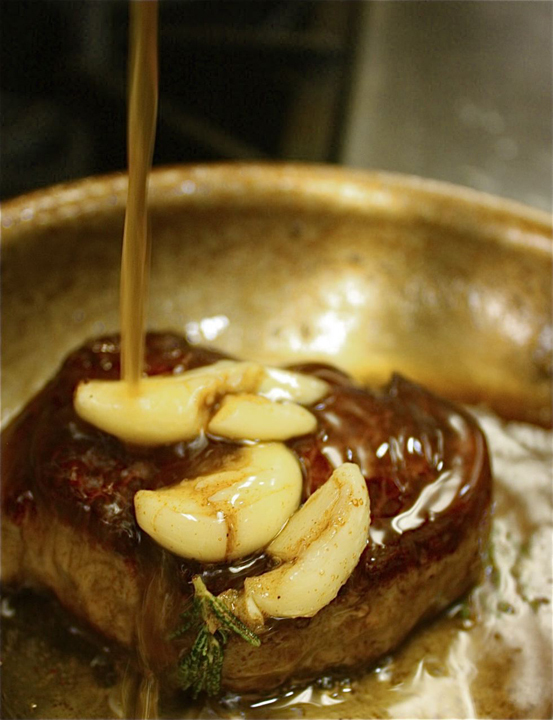 Intrepid and talented chefs have always found a way to cook the less salubrious parts of the animals we eat ~ brain, heart, intestine, feet, tails... glands. Our greatest techniques (and from them, our classic dishes) have not sprung from boredom, so much as necessity. Still, to paraphrase the bard, a thymus gland by any other name… is bound to sound more appealing. The thymus gland has two parts, one in the throat and a larger lobe near the heart which is considered more desirable because of its size (though in truth they basically taste the same). 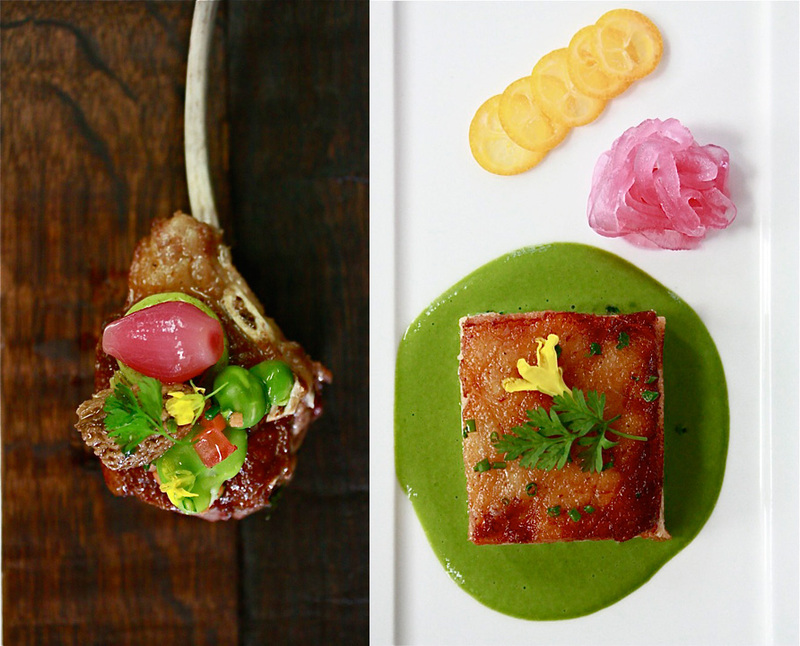 Pastured veal is the animal of choice for most chefs. 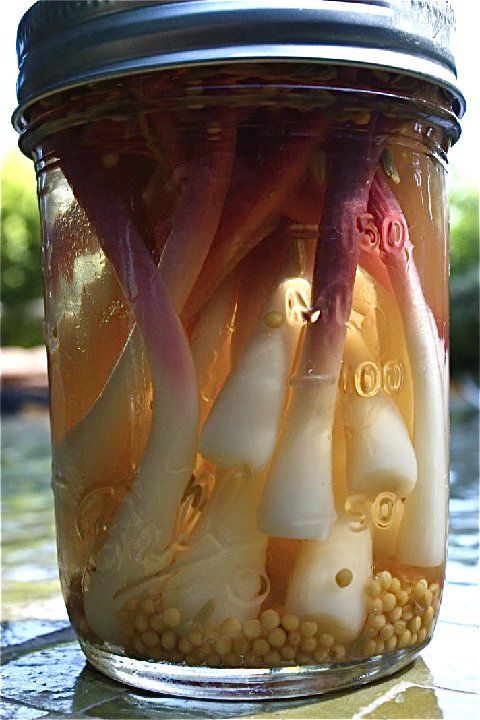 The traditional method to prepare them for cooking is to soak them in milk for 24 hours to soften, then blanch, shock in cold water, press, drain, and chill. 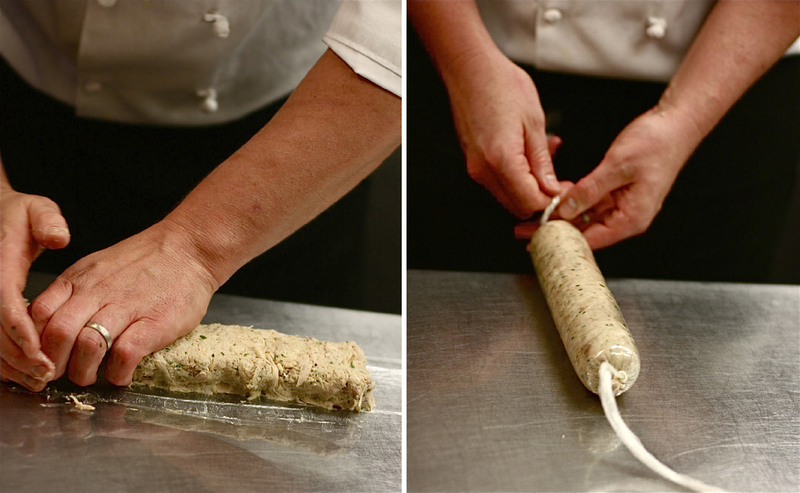 At this stage you can easily peel the outer membrane and portion before cooking. 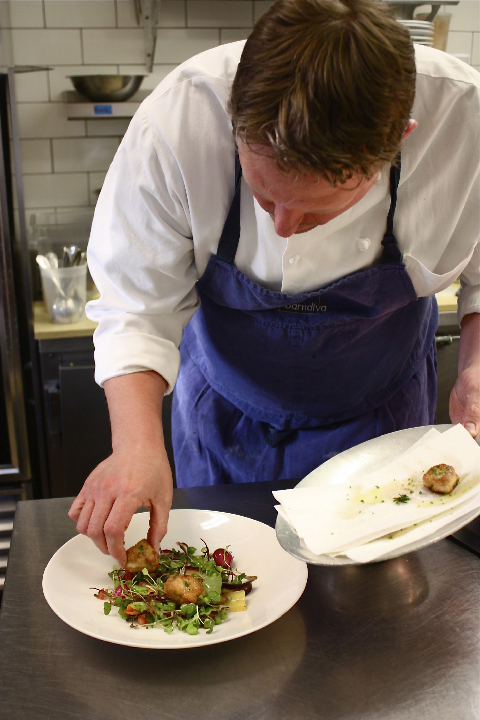 Ryan braises his sweetbreads first, slowly heating them through, after which he dredges them in flour and secret spices (secret to me, at any rate) before a quick sauté in foamy butter and fresh thyme. 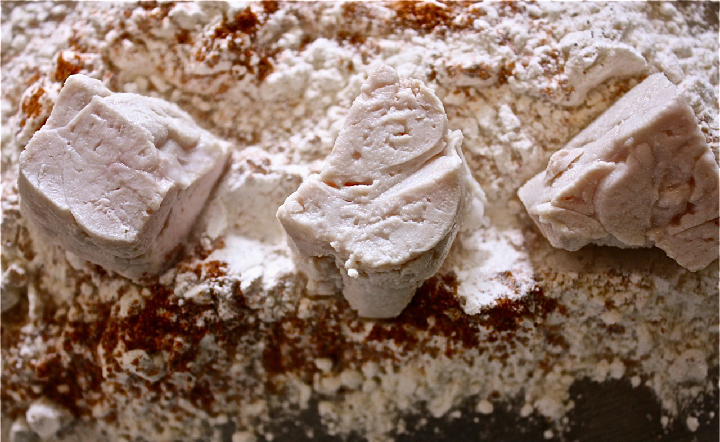 This results in sweetbreads which have a beautiful crunch, yet are still bursting with meat juice. As it turns out, when properly prepared, they actually are kind of sweet. It’s not a sugary sweet to be sure, but a soft, mild, loamy sweet, enhanced by the consistency of custard crossed with tofu. 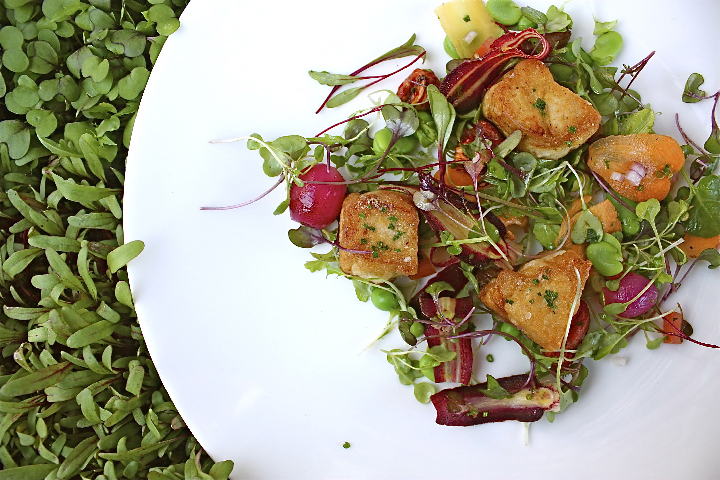 Serving them with a bright salad of microgreens, cress, shaved carrot, pickled onion, and mache makes for an inspired pairing, not least because it brings forward the mellow nuance of the sweetbreads, taking the dish in an unexpectedly light direction. Talking to Daniel about our new microgreen program ~ which both he and Mix Garden supply ~ I’ve learned a lot about these funny little guys. 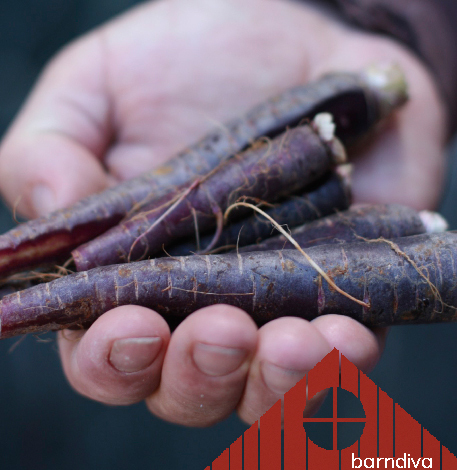 They have a range of flavors ~ alliumous, herbaceous, floral, spicy ~ that is quite remarkable. 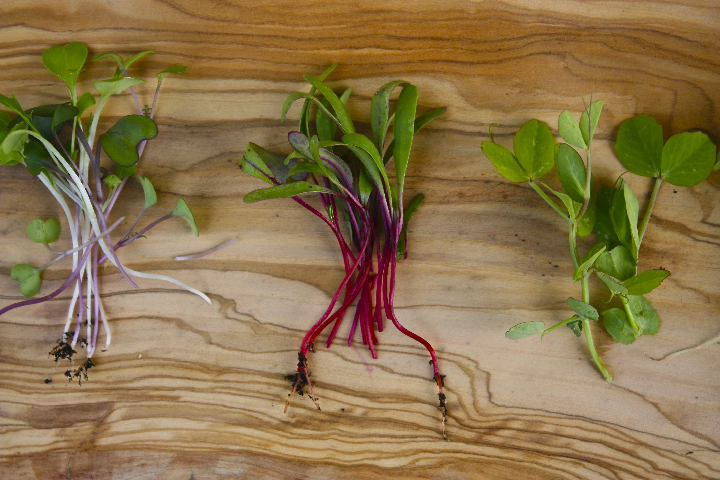 The biggest surprise was to find that microgreens are not really true leaves at all, but something called cotyledons. 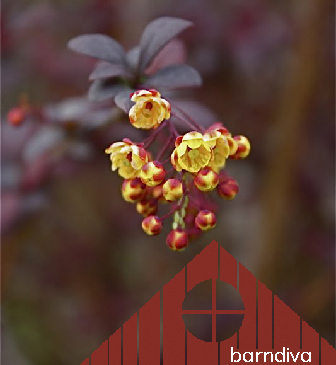 Formed in the seed, if left to grow after breaching the soil they would swiftly fall off the plant and die. The word cotyledon comes from the Greek word for 'seed leaf'. 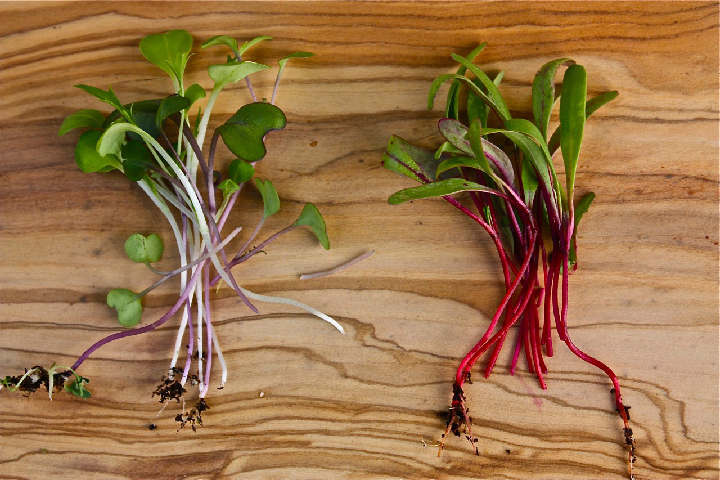 The microgreens Chef used for this dish were cotyledons from seedlings which, planted with the proper spacing would eventually have grown into Russian Kale, Early Wonder Beets, Dwarf Grey Sugar Peas and Large Leaf Mustard Greens. I love this dish. It’s another delicious reason I’m thankful we live in an age when the ethical sense of eating every part of an animal we take such great care to raise has placed cuts like sweetbreads front and center. 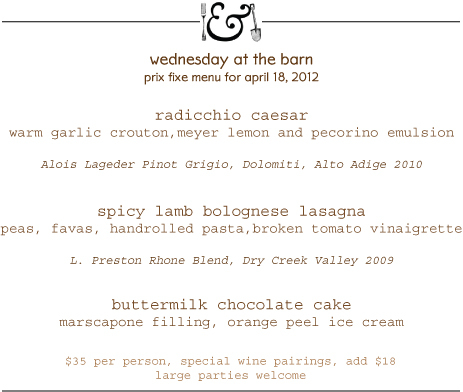 Happily, on thoughtful menus, in hands like Ryan’s, they produce the most revelatory share of wows every night. 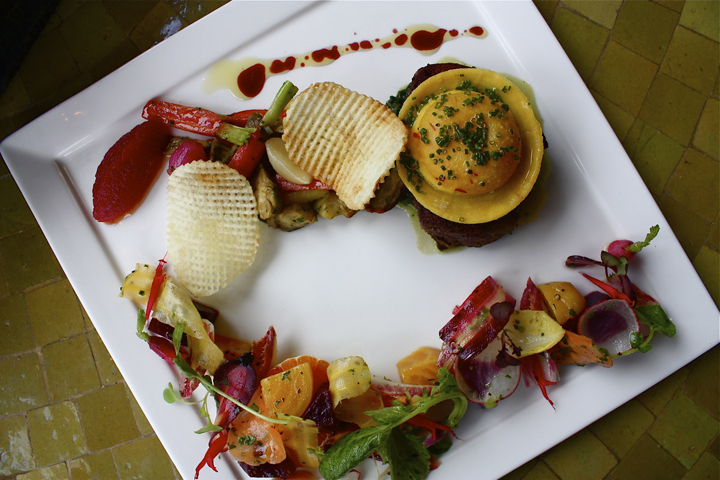 Food that carries a religious message is bound to be about more than taste. At Passover, which like Easter falls in the redemptive season of Spring, Jews empty their homes of all flour and eat unleavened Matzo instead of bread. They don't eat Matzo because it tastes good ~ trust me on this one ~ no matter how much butter and salt you slather on to make it palatable it sticks in your throat, dry as the desert. If you had lived in Egypt as slaves for over two hundred years, then were given just 24 hours to leave, would you have waited for bread to rise? Eating Matzo today is a way of remembering their story, which took place thousands of years ago. 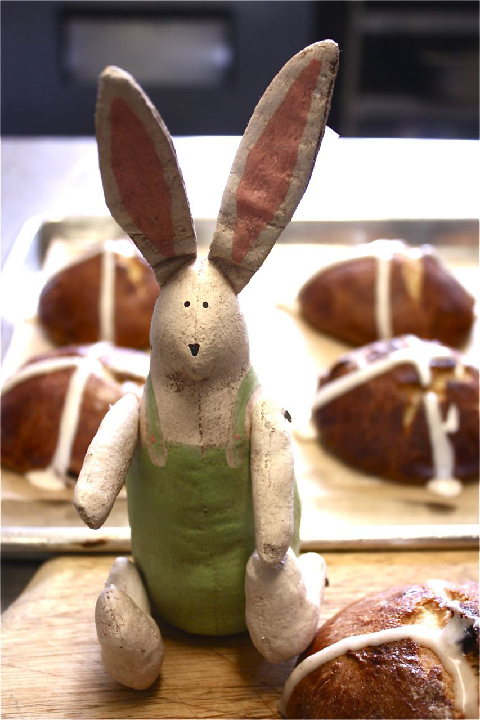 Passover and Easter share a season and the same etymology but taste wise Hot Cross Buns have a lot more going for them. Which makes sense, as the story they tell is complex and bittersweet. Though they are no longer made from the same dough used in the communion wafer (the reason English Protestants who feared Catholicism only allowed them to be eaten on Good Friday), they still represent bread as the staff of life; the cross baked into their shiny carapace a not so subliminal reference to the crucifixion. Most of their flavor comes from the hit of dried fruit ~ currents and sultanas ~ for a balance of sweet to sharp, that is folded into the dough before it rises. 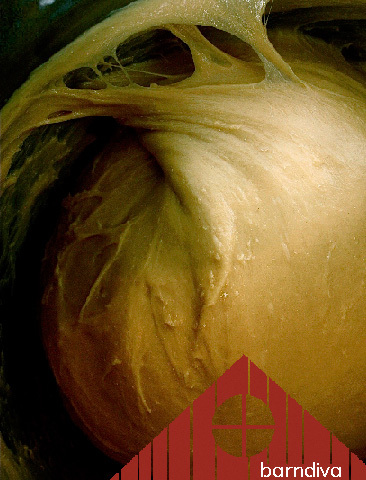 Sweet frosting is a recent invention ~ buns baked the first few hundred years after the death of Christ had only simple flour and water crosses across the top. 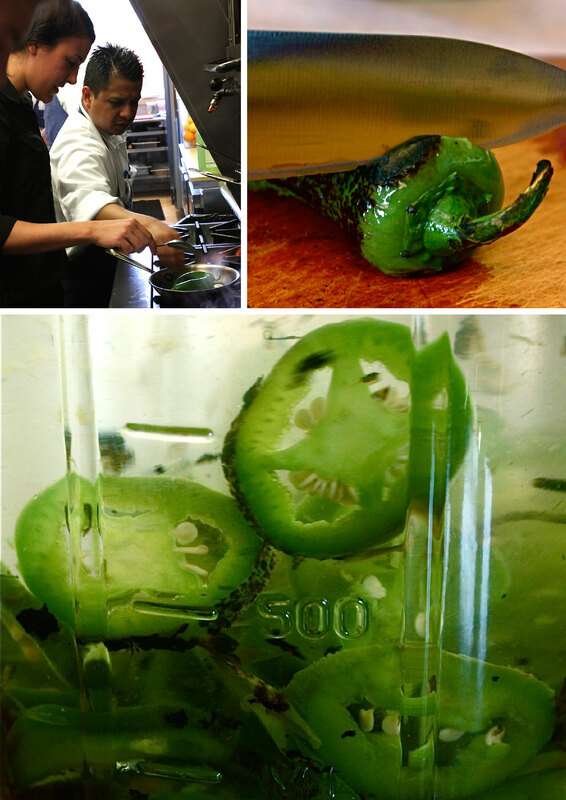 Octavio’s buns honor the simplicity of the recipe and its history, with a few decisive changes. For the frosting he uses sifted powdered sugar, a good quality Madagascar vanilla and whole milk, which makes for a sweet aromatic glaze. While traditionally the cross should be baked down into the bun ~ the better to represent the wounds on Jesus’ body ~ Octavio is a chef, not a liturgist, so no dry frosting for this good Catholic. 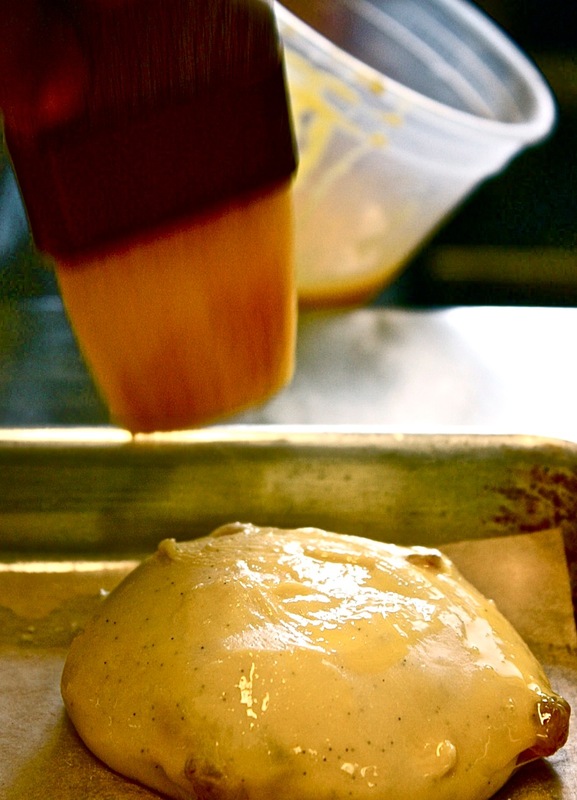 To ensure a beautiful golden color, he brushes the buns with melted butter after a shorter than normal proofing stage, then allows them to split slightly, creating a warm crevasse for the frosting to melt down into. Whether or not it’s true that even further back in time the cross held a pantheistic meaning ~ thought to symbolize the four quarters of the moon ~ there’s no denying Easter’s connection to Spring and a continuum that remembers history ~ personal, social, religious ~ through food. The kids may not know the meaningful, complicated story behind Hot Cross Buns as they gobble them down, but if it holds them at the table a bit longer hopefully, someday, they will. For just as it’s true that if we don’t know our history we are doomed to repeat it, the corollary holds even greater power: when you don’t know your history you have no reason to carry it forward, with food traditions that may ultimately fill more than your stomach. 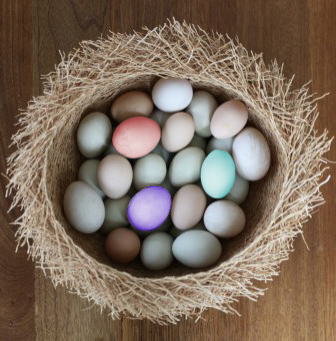 Barndiva will be serving an expanded Brunch menu this Easter Sunday with Octavio's Hot Cross Buns in pride of place and a few special additions, notably a delicious entrée featuring Fritschen Lamb with all the fixings. For the kids we will be hiding chocolate eggs in the garden (weather permitting). For the adults, Mimosas, Bloody Marys, and a chance to Lift, Flirt or Slide your way through Easter with one of our new series of cocktails we wrote about in last week's Eat the View. 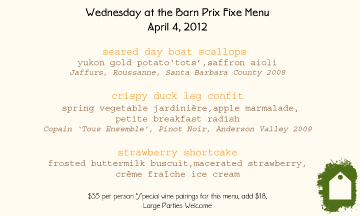 For reservations and the full menu call the Barn: 707 431 0100. 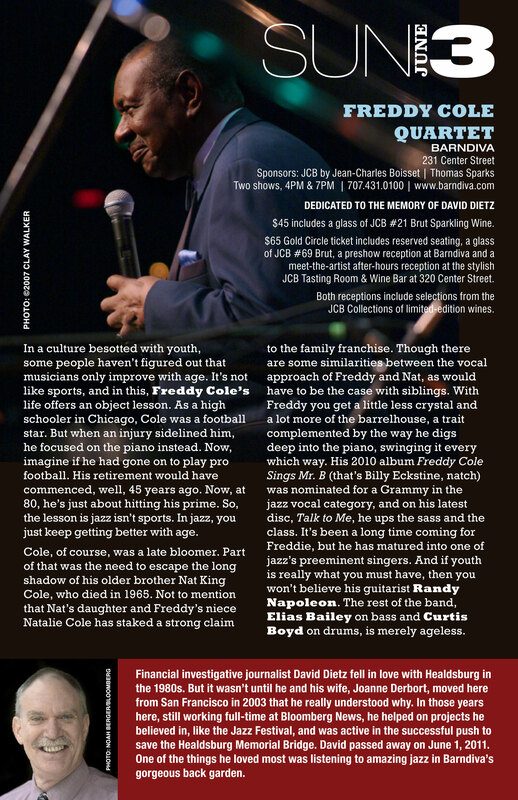 Hot Off the Press... Jazz Festival News! Interpersonal Neurobiology is a recently touted approach pulling from several disciplines, namely science and psychology, to advance the premise that the way we focus our attention has the power to change the way the circuitry of the brain sends messages. Started by Dr. Daniel Siegel of The Mindsight Institute (by way of Harvard and UCLA), it's an integrated science with a lot of moving parts, the most intriguing of which is the idea that how we make distinctions and connections between thoughts and feelings will affect the trajectories of our actions and, it follows, their outcomes. Eating and drinking are ephemeral experiences at best, ones which easily put the senses on overload. They are feeling-led activities ~ we come to a restaurant in a specific state of mind we want enhanced or softened as we look to satisfy "hunger" on more than one level. The role alcohol plays ~ while its absence is not a deal breaker ~can be significant, not least because in limited amounts alcohol increases dopamine in the part of the brain that triggers feelings of pleasure. For both the customer and the restaurant, pleasure isn’t just the endgame, it’s a journey, one that starts the minute you walk in the door. 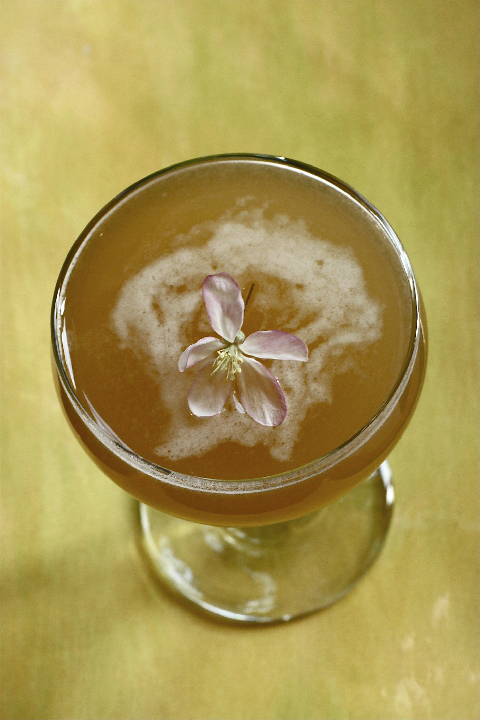 I first started thinking about a series of spirit elixirs called Lift, Flirt and Slide a number of years ago as a way of bringing aromatherapy to the cocktail glass. 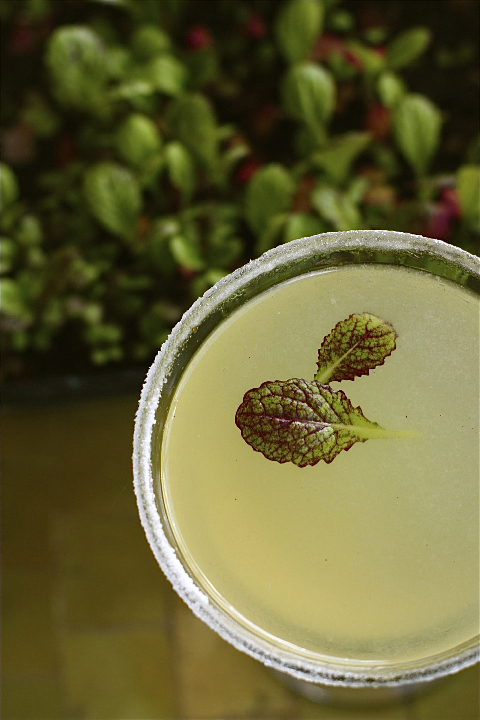 Like many innovative bars across the country we were already incorporating herbs and edible flowers into our drinks, based rather loosely on their perceived curative qualities ~ citrus to enliven, spice to invigorate, mint to soothe ~ but very few drinks I’d ever come across took homeopathic tinctures seriously, much less engaged the powerful sense of smell as it affects mood and memory. Most people are creatures of habit when it comes to ordering cocktails ~ they get a favorite stuck in their minds and order it year after year. What I wanted was a different approach based less on preconceived notions of what a guest "thought" they wanted, more on a sensually triggered desire to lift the spirit, engage in social play, or just channel the day's exhaustion into sliding home and into bed. I did some research, wrote up my notes, then moved on. While I was more than intrigued with the concept, I could see that a great deal of trial and error would be necessary in order to take the next steps. 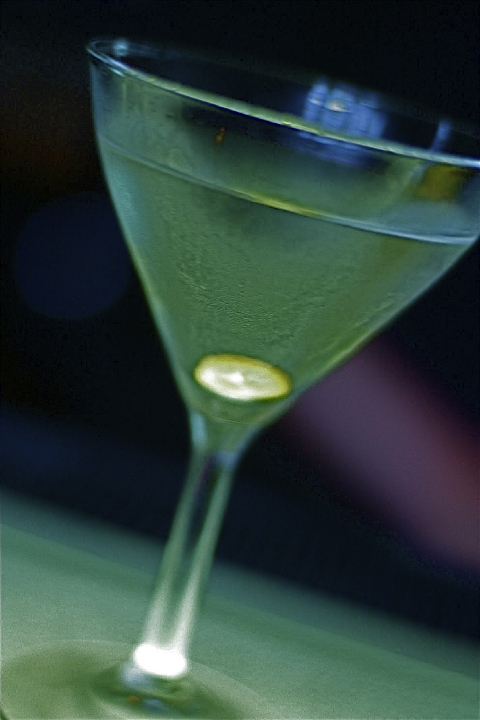 I needed a bartender who was not just spirit smart but had energy and patience in equal measure. 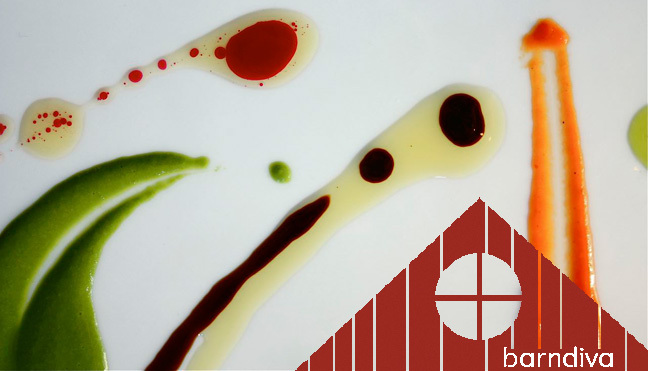 Great cocktails, at the end of the day, aren’t about whiz kids using esoteric ingredients with procedures that belong in a laboratory setting. 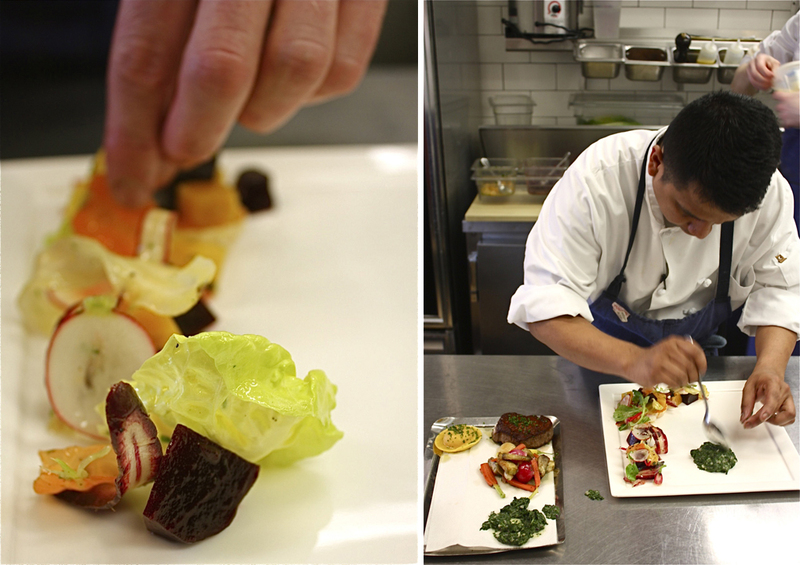 They are about balancing science and art, having a great palate, a methodical mind, and a healthy dose of humility. When Rachel arrived three months ago, happily, she seemed to possess all four qualities. And a fifth: that finding out how a customer feels when they sidle up to the bar goes a long way in making them a drink that heightens or changes their mood. In a restaurant like ours, cocktails are also crucial to opening a way into the food, and the total experience of dining here. So here's how it's going to work: tell us how you feel when you walk in the door and we’ll give you a drink designed to keep you there (if that’s what you desire) or take you somewhere else (if that’s what you need). Lift, Flirt and Slide are experimental cocktails. While we don't promise they will re-wire your brain, they damn well will taste good and get you started in the direction you want to go on the night. The best part? If they work, all you’ll need is one. 1. Rachel chars the peppers in a dry skillet. 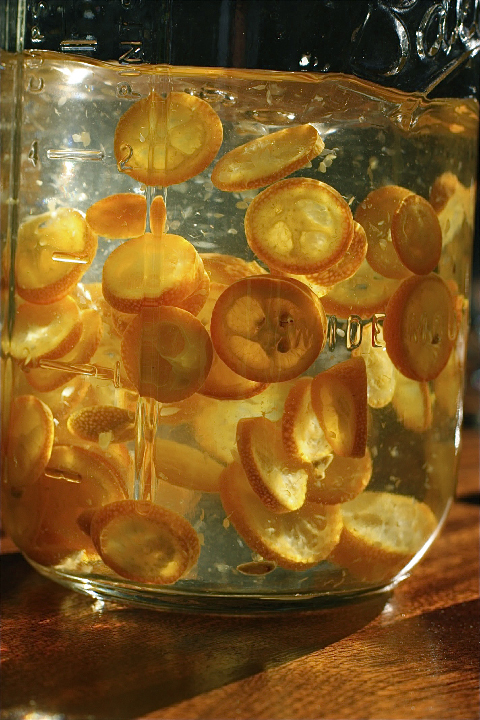 2. slices and 3. mixes them with a platinum tequila where they are allowed to steep for 4-6 hours. 4. She combine the ingredients: the pepper infused tequila brings an earthy profile to the drink while Agave syrup lends sweet smokiness, Curaçao and fresh lime juice lift the flavors while adding citrus punch, a hint of peach bitters softens the heat and bite of the peppers. 5. Before shaking, she turns a chilled martini glass in red pepper sugar (made with dried pepper flakes left in a fine grain sugar for at least two days, then repeatedly sifted out). 6. Shake vigorously. 7. Strain into the rimmed glass. 8. Spritz with Rhodiola Rosea, a dioecious herb thought to be effective for improving mood, physical and mental performance, and may (according to the Chinese) increase sexual energy. 9. 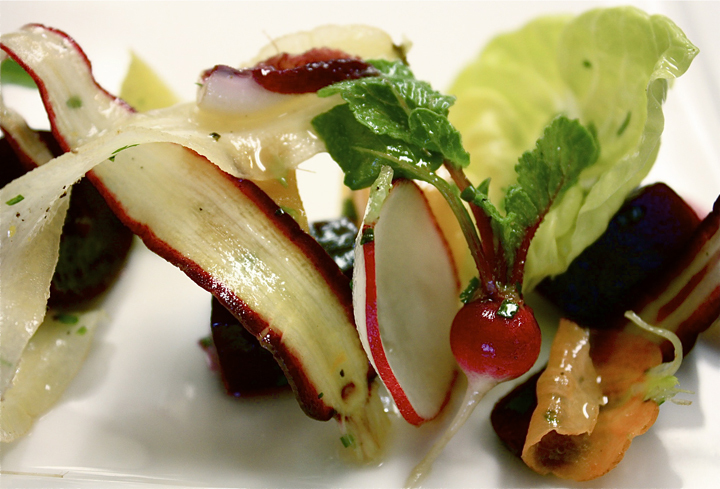 Garnish with baby mustard leaves (variety: Giant Red, harvested just after sprouting). If you're interested in a decidedly more comprehensive take on Interpersonal Neurobiology follow this link to Diane Ackerman's The Brain on Love, an article published in the NY Times Sunday Review. It provided a nifty bridge to my thoughts about the way we think about cocktails. With apologies for my hubris, there's a lot more to think about here. 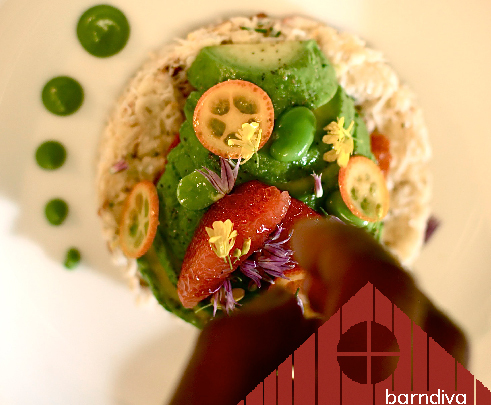 Barndiva will be serving an expanded Brunch menu this Easter with special additions ~ an entrée featuring Fritschen Lamb with all the fixings and Octavio's version of Hot Cross Buns ~ in honor of this special Holiday. 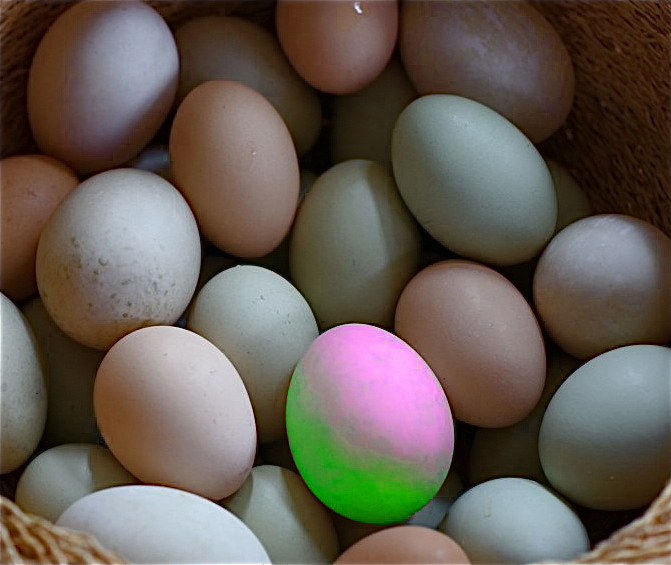 For the kids there will be a few chocolate eggs hidden in the garden (weather permitting). For the adults, Mimosas, Bloody Marys, and a chance to Lift, Flirt or Slide your way through Easter. 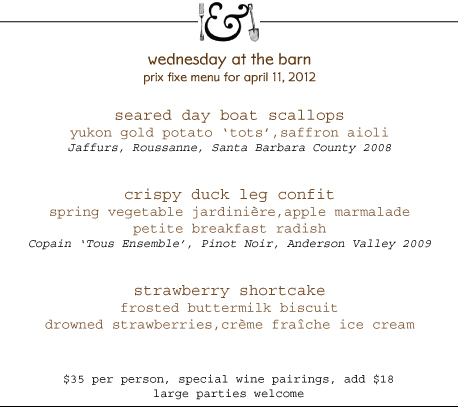 For reservations and the full menu call the Barn: 707 431 0100.